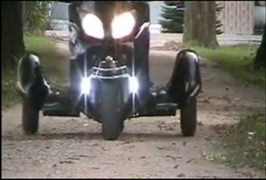 Flashing LED Motorcycle Brake Lights! 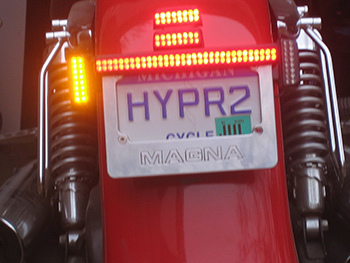 Our flashing LED brake Lights draw driver’s attention to you stopping, instead of who they’re texting! Your new light modules come potted in resin to make them water-proof and shock resistant! 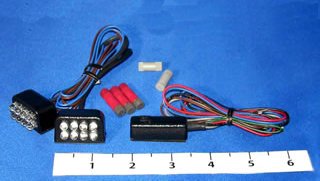 They will mount on any bike, only draw 1/4 amp, and as always they were put together right here in the USA! 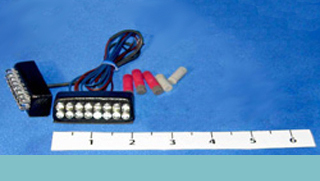 Our flashing LED brake lights are available in two sizes, 8 and 16 LED modules, come in 4 flashing patterns, and can be ordered with or without running light function. 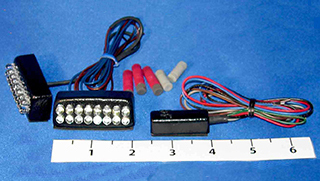 Hyper-White LED running lights are 21 times brighter than our standard brake lights, while only drawing 1/4 amp! 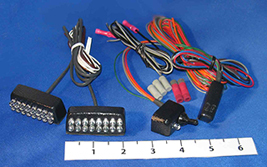 Our LED running lights come in red or amber, and tap into your bike’s systems directly. They draw a ton of attention, and less than 1/4 amp. 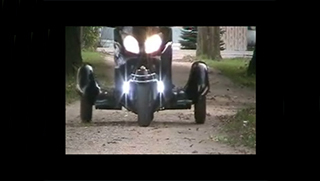 Need a place to mount your new lights to get the most visability? 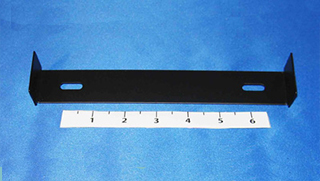 Add on one of our American made license plate mounting brackets, or front fork brackets for your new Hyper-Whites. Don’t forget the Bungie Buddies, the best solution on the market for adding tie down points to your bike!